﻿ Thaba Tsweni Lodge and Safaris Graskop. JIMAT di Agoda.com! Ada soalan mengenai Thaba Tsweni Lodge and Safaris? Sama ada anda melancong atau ke luar kawasan kerana kerja, Thaba Tsweni Lodge and Safaris merupakan pilihan penginapan hebat ketika melawat Graskop. Keseronokan pusat bandar hanya sejauh 9 km sahaja. Dengan lokasi yang mudah, hotel ini memberikan akses mudah ke tempat yang anda perlu lawati di bandar. Kemudahan dan perkhidmatan yang disediakan oleh Thaba Tsweni Lodge and Safaris memastikan penginapan yang menyenangkan bagi para tetamu. Tetamu hotel boleh menikmati kemudahan seperti pengemasan harian, pendiang api, daftar masuk/keluar peribadi, Wi-Fi di tempat awam, letak kereta berjoki. Thaba Tsweni Lodge and Safaris mengandungi 8 bilik yang dihias indah dan menawarkan televisyen skrin rata, internet wayarles (percuma), bilik larangan merokok, pemanas, meja. Sama ada anda peminat kecergasan atau hanya mencari cara untuk bersantai setelah seharian bekerja, anda akan dilayan oleh kemudahan rekreasi kelas tertinggi seperti padang golf (dalam jarak 3 km) , kelab kanak-kanak, taman, sukan air (tidak bermotor). Thaba Tsweni Lodge and Safaris merupakan tempat yang ideal bagi penginapan pelancong yang mencari keindahan, keselesaan dan kemudahan di Graskop. The place is quaint and quiet. The fireplace was wonderful and the staff cleans up the ashes and refills the firewood daily. However, the bathroom is slightly old fashioned and the shower is slippery and has a steep incline to the drain which makes it hard to stand firmly. 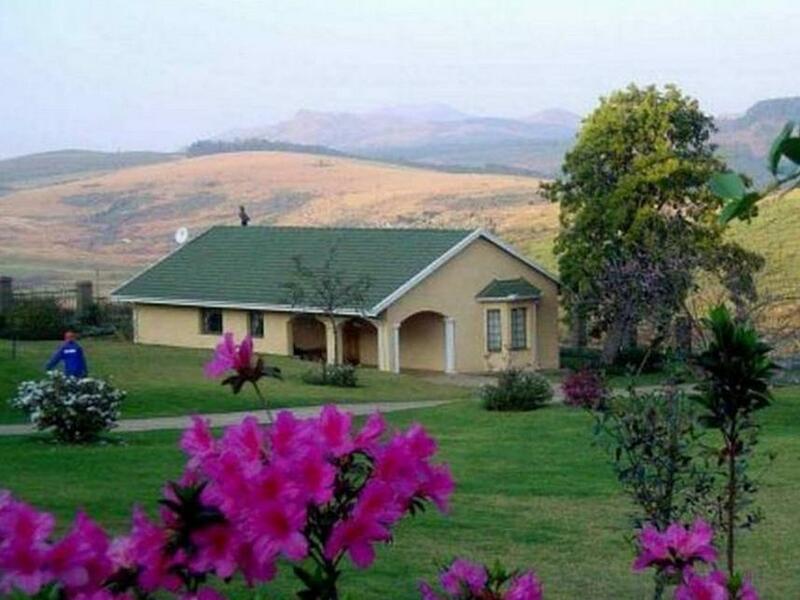 It is close to Graskop town and nearby attractions. Highly recommended. This chalet was very well equipped. There was firewood supplied for the inside fireplace which we lit each night as it was quite chilly. The environment was very pretty and quiet, but you were handy to many of the sights. Just wonderful. We got upgraded to bigger flat. Fireplaces indoors and outdoors with enough firewood ready, great because it got really cold at night. Clear night millions of stars visible. First of all we got upgraded and enjoyed the luxury of a big flat with two bedrooms. Great location, feeling safe,close to gate of Kruger Park. We appreciated the well prepared fireplace indoors, felt so cosy and homy. Unfortunately we stayed only 1 night. We had a spacious unit with a living room/kitchen, bedroom and bathroom and a terrace with a terrific view. The owner was very nice and helpful. He offered that we use the wifi internet access in the reception area. We stayed one night and enjoyed it. It is a good location close to the canyon and not to far away from the city. We stayed here for 2 nights in December 2013. And we were positively surprised. The House is very comfortable, spacious and very pleasant (interesting design). It is very clean and very well equipped with self-catering utensils. There is outside ``braai``, patio and well maintained garden. The neighborhood looks rural, quite and safe. 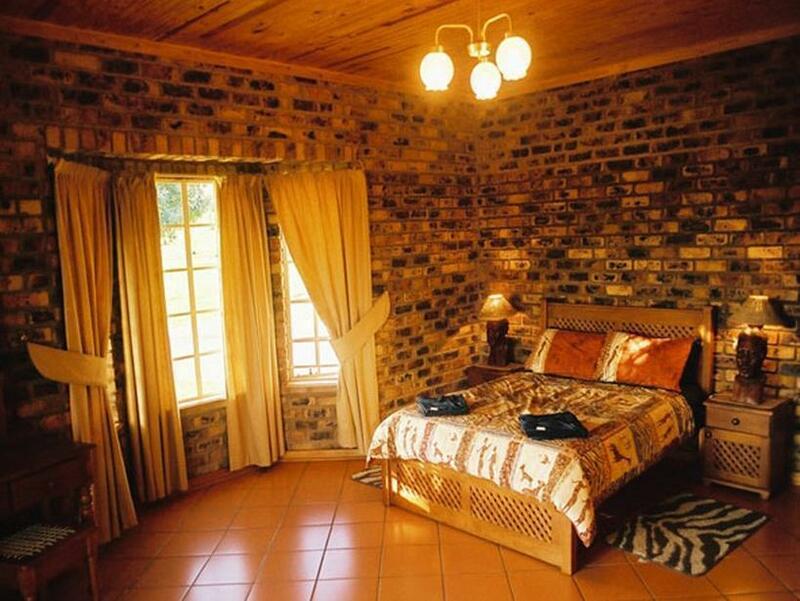 The location of the Lodge is very good for visiting all the attractions on Panorama Route and and Blyde River Gorge. A short distance (a few minutes by car) to Graskop and its shops and restaurants. So no complaints. Our host made us feel very welcome even though we arrived late, eagerly gave us excellent recommendations for exploring the exquisite Blyde River sites, all of which are withing a short drive of the lodge. Our chalet itself was quaint, comfortable, rustically stylish, and well furnished and equipped as a self-catering unit, including a private outdoor barbecue pit. The grounds are beautiful and well maintained. It is obvious that they take great pride in their establishment and in catering to their guests. Would definitely return. friendly and helpful people, a quite place near the highlights of graskop. a simple television en no swimming pool, but a very beautiful environment. supermarket about 6 kilometres in graskop. We had an overnight, self-catering stay during our road trip through Blyde River canyon and the Thaba Tsweni Lodge was a nice stop over. The chalet was quiet and spacious and very clean. The bathroom was nice and included a bath tub, our bed was also very comfortable and clean. Service was very friendly too. There was no wi-fi, but everything else was fine. We walked up to Berlin Falls which is about 15min to walk, but the waterfalls are not so thrilling. All in all, a good place to stay over for a night or two. 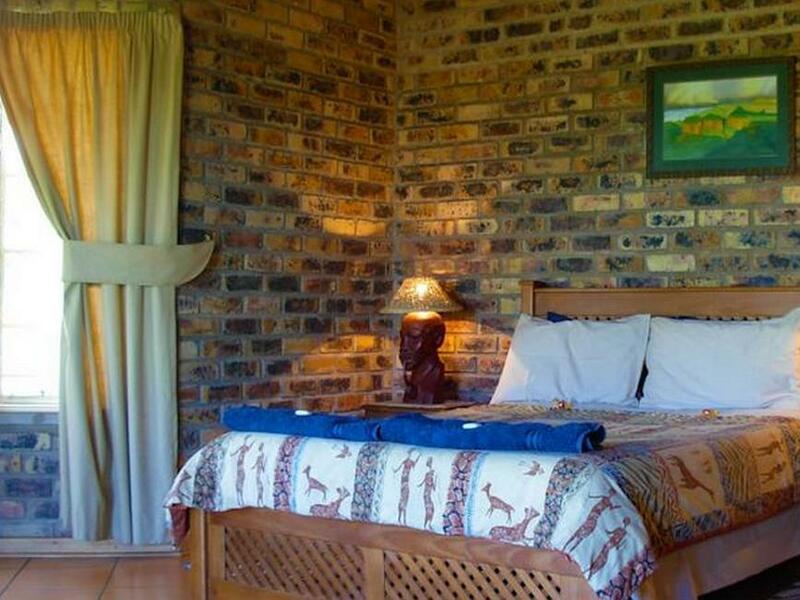 Beautifully located rustic inn (as us Americans would call it) situated ideally near God's Window, several waterfalls and if you care to visit Kruger, Kruger is only 35 minutes away. The owner is full of information of the area and history. So if you have time and care to discuss the history of S. Africa, I'm sure he'll gladly educate you on the country! A spotlessly clean chalet that exceeded our expectations in comfort. It was worth the extra few km out of Graskop in order to secure this place. We prefer self catering and this chalet had excellent facilities that allowed us to cook as if we were at home. The views over the valley were pleasant and we experienced the helicopters flying over to put out a forest fire in the distance. this is a lovely clean well equipped selection of chalets and we stayed in a one bedroomed unit which was part of a block comprising of 3 one bedroomed units. the views are beautiful as you sit on your outside patio area. the complex is very clean and the grounds very well manicured. the units are serviced daily by an excellent little lady called maria who is very diligent and very thorough. this is a good central location to stay whilst exploring the panorama route and graskop is about 8 km away where there is a spar supermarket for your food shopping. Großzügiges Chalet. Lage zum Blyde River Canyon. Sehr angenehme Chalets mit Selbstversorgung. Großzügige Räumlichkeiten mit sehr gemütlichen Wohnbereichen. Feuerholz für vorhandene Kamine steht immer zur Verfügung. Vor Ort können unkompliziert verschiedenste Freizeitaktivitäten organisiert werden (Safari, Quad-Tour, etc.). Nahe Lage zum Blyde River Canyon ist von Wert gerade für Durch- und Weiterreisende. Die Gartenanlage war sehr schön. Die Lodge liegt am anfang der Panormaroute. Wir haben diese Lodge als Ausgangspunkt für den Blyde River Canyon ausgewählt. Sind vom Krüger Park über Pilgrims Rest nach Graskop angereist und haben dort eine Nacht verbracht. Am nächsten Tag haben wir uns dann auf dem Weg über die Panoramaroute nach Joburg gemacht. Hat alles gute geklappt.